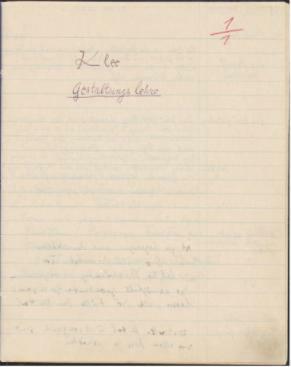 Paul Klee’s notebooks (notes for the classes he taught at the Bauhaus)– 3,900 pages of them– digitized and made available online by the Zentrum Paul Klee in Bern. Williams stayed close to the Narragansett Indians and continued to protect them from the land greed of European settlers. His respect for the Indians, his fair treatment of them, and his knowledge of their language enabled him to carry on peace negotiations between natives and Europeans, until the eventual outbreak of King Philip’s War in the 1670s. And although Williams preached to the Narragansett, he practiced his principle of religious freedom by refraining from attempts to convert them. 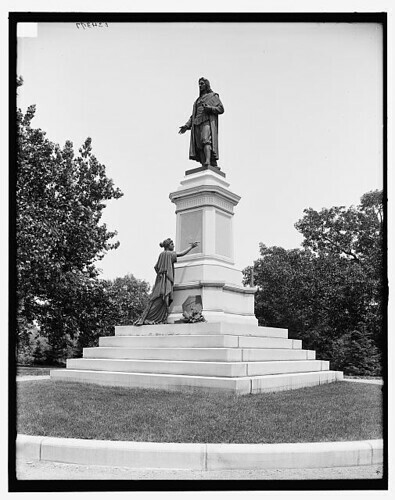 Roger Williams statue, Roger Williams Park, Providence, R.I.